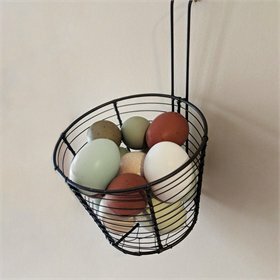 Farm fresh eggs – who gets tired of that? This attractive sign is made from painted metal with embossed designs that replicate a ceiling tile. It features the words "Farm Fresh Eggs" with the silhouette of a chicken.